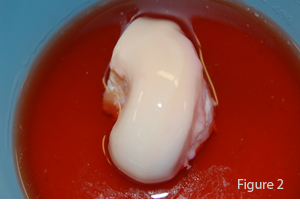 The typical individual considered a candidate for fresh osteochondral allografting is a younger, more active individual with a symptomatic, disabling cartilage injury or disease present in the knee, ankle or other joints such as the shoulder. Candidates are generally under 50 years of age and have a diagnosis such as traumatic chondral or osteochondral injury, osteochondritis dissecans, avascular necrosis, post traumatic arthrosis, focal secondary arthrosis, or patella femoral problems. Often, individuals have failed other forms of treatment, or felt to have disease states which are not amenable to any other type of procedure. 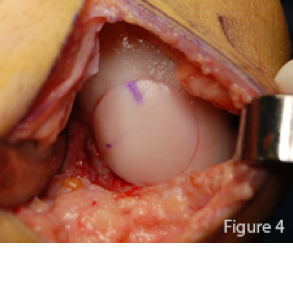 Osteochondral allografts are particularly suited for osteochondral lesions such as Osteochondritis Dissecans, focal osteonecrosis or periarticular trauma where bone deformity or deficiency occurs in association with chondral disease. The graft is lavaged to remove blood and debris and bony edges are trimmed to facilitate insertion. Insurance issues are a concern quite frequently because the procedure is uncommon and unfamiliar to many insurers. Therefore, many insurers feel that this is an experimental procedure and initially will not approve it. However, after documentation of efficacy (based on scientific studies) and an explanation of the unique nature of the procedure and lack of alternatives for individuals who are typically quite disabled and have a very poor prognosis for their knee the procedure will typically be approved. The allografting procedure is often done in specialized centers or by experienced surgeons, where the complex requirements of procurement of allograft material, preparation and technical aspects of performing the surgery have been established. The total cost of this procedure is very comparable with knee replacement or other cartilage repair techniques, including the surgical cost, the hospitalization, and the cost of the donor tissue. Figure 1. Medial femoral condyle of a knee joint with cartilage damage caused by osteochondritis dissecans. Figure 2. Allograft tissue prior to preparation of the graft. Figure 3. The damaged area has been prepared to accept the allograft transplant. Figure 4. The allograft tissue has been inserted into the knee joint and the damage is repaired.